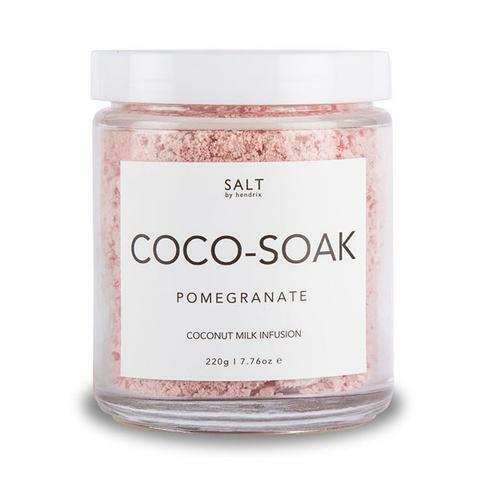 Pomegranate + organic coconut milk – An antioxidant + moisturising bath soak with regenerating powers. Add 1-2 tablespoons to a warm bath. Sit back + enjoy.